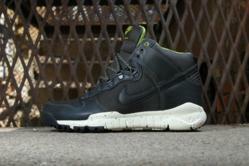 Nike's Latest Winter Boot, the Dunk High OMS, are Now in @ Pure Board Shop. Pure Board Shop has expanded its shoe offering to include lifestyle and street footwear, in addition to their awesome selection of skateboarding sneaks. 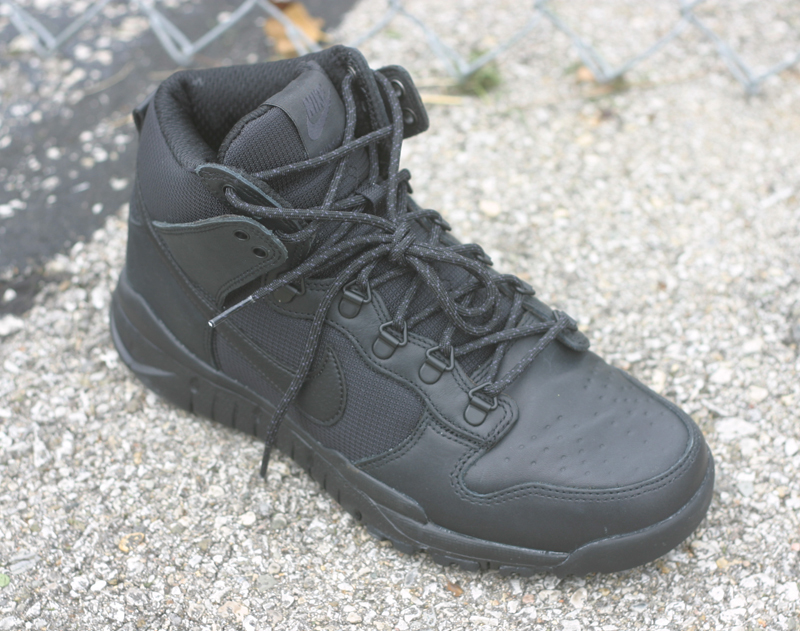 Just in as a cool addition to that department, Nike's Dunk High OMS shoe. Redesigned to withstand the harsh weather of fall and winter, the iconic high-top Dunk has been updated as a part of Nike‘s new Off Mountain Series with the debut of the Dunk High OMS. Featuring a water-resistant ripstop nylon and leather upper, the Dunks make use of Outlast©-coated lining for enhanced temperature regulation while Warming Blanket Strobel technology under the sockliner aids in the process by reflecting body heat back to the foot. Cushioned with a full-length Phylon midsole, the updated silhouette utilizes a free-inspired outsole adapted from the likes of the Special Field Boot and Free Trail with deep sipes and a snow tread pattern for flexible traction. Pure Board Shop opened its doors on May of 2005. After co-owning Evolve Board Shops in Annapolis and Bethesda Maryland from 1993 to 2003, Robby Roberts put Pure on the streets a few years later. Its ease of access and parking make it a destination shop for riders and urban street wear fans alike. With their mix of products and variety in skate, snowboard , surf and exclusive streetwear and shoe brands Pure’s customers extend far beyond their Annapolis location. Pure prides itself on customer service being its number one priority, with product knowledge and having the right product mix a close second. The store and the website feature an ever growing inventory from brands such as Nike SB Dunk, Nike Snowboarding,Travis Rice Lib Tech, Adidas skateboarding, Vans, Levis Skateboarding, Diamond, HUF, LRG, Neff, RVCA and The Hundreds, as well as a large selection of Sunglasses and other accessories. The shop also prides itself on having the largest inventory of longboard equipment in the area; with brands like Landyachtz, Rayne, Caliber, Cult, RAD, Abec11 and many more. Pure puts on skateboard jams and video premieres at their local skateboard park as well as sponsors many longboard slide jams and races in the Metro Area.